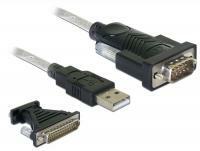 This USB 2.0 to serial adapter enables you to connect up to eight different serial devices to a free USB port. 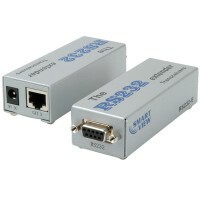 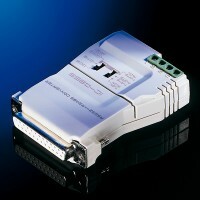 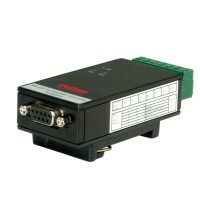 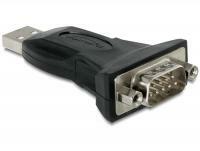 The Delock RS-232 converter separates the electrical connection between Host-PC and USB device. 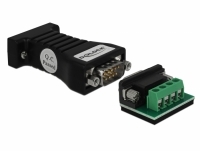 The galvanic isolation avoids the disturbing noises in the audio field and inexact measuring results in the laboratory field. 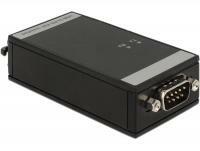 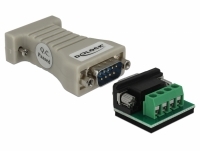 The Delock Ethernet to RS-232 converter by Delock enables you to integrate and control serial devices based on RS-232 via your network. 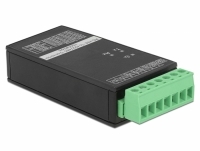 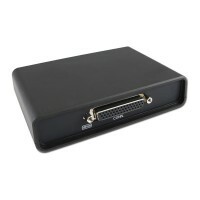 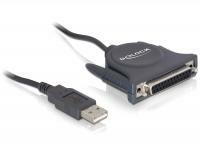 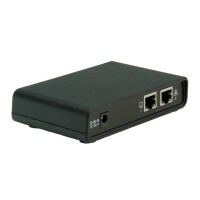 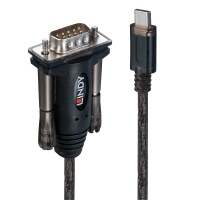 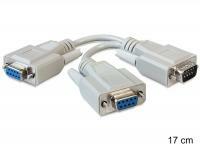 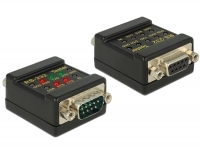 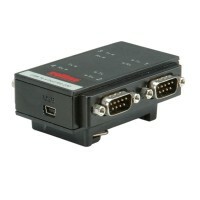 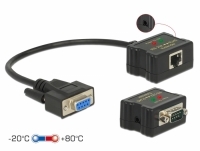 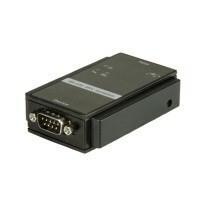 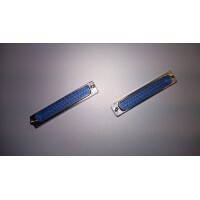 This adapter by Delock can be connected to a free serial port of your system and provides two serial female ports for connection of different devices like e.g. 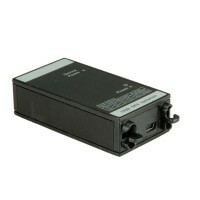 printer, scanner, keyboard, mice etc. 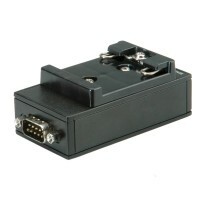 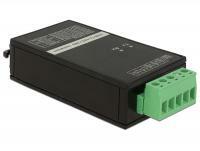 The adapter supports bidirectional operation of two serial devices. 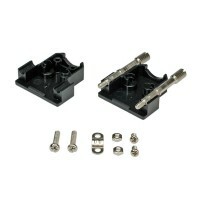 This Gender Changer by Delock enables you to change the Sub-D 15 pin female port into a male port. 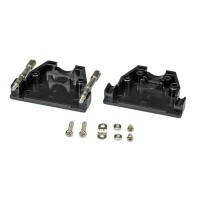 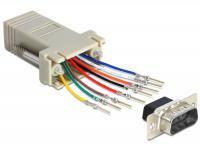 This Gender Changer by Delock enables you to change the Sub-D 15 pin male port into a female port. 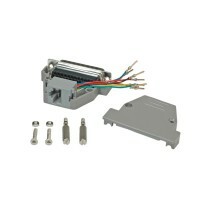 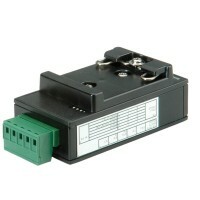 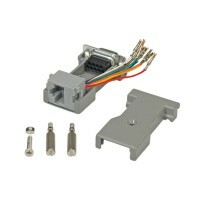 This Gender Changer by Delock enables you to change the Sub-D 25 pin female port into a male port. 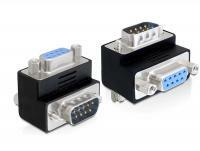 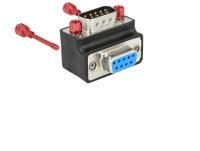 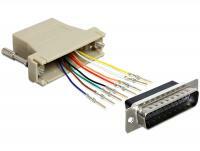 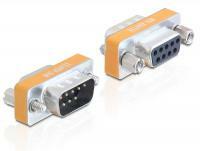 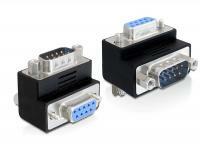 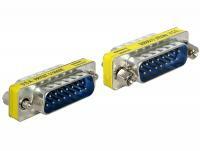 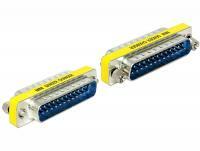 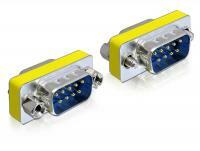 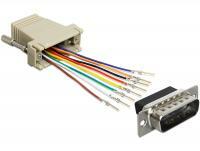 This Gender Changer by Delock enables you to change the Sub-D 25 pin male port into a female port. 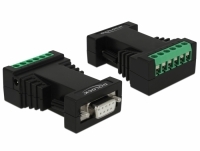 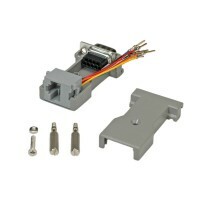 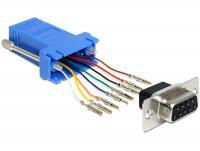 This adapter by Delock can be connected to the Sub-D 25 pin port of your device or system. 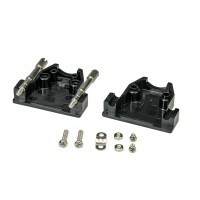 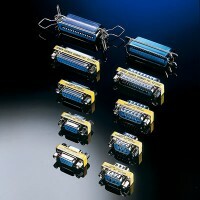 Thus it prevents the interface from damage when it is under usage for high contact durability. 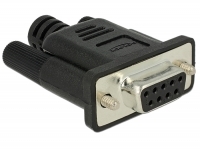 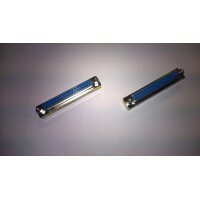 Furthermore this adapter can also be used for special application as mechanical extension of your Sub-D 25 port. 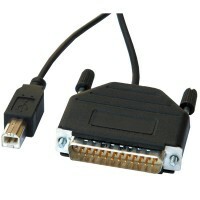 This adapter by Delock can be connected to the Sub-D 9 pin male port of your device or system to use it as a null modem. 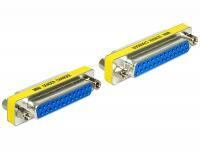 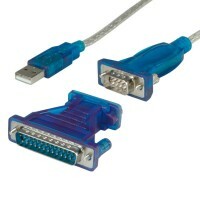 Furthermore it converts a standard serial cable into a null modem cable. 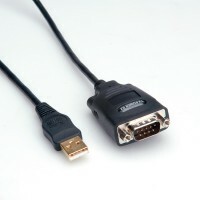 Thus you can use to connect two computers directly. 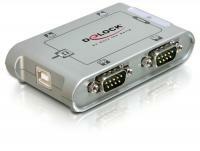 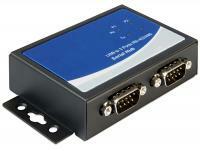 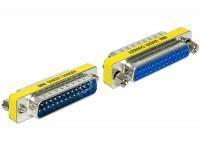 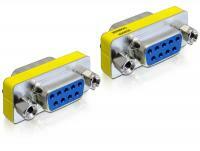 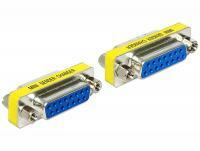 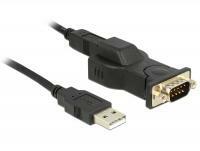 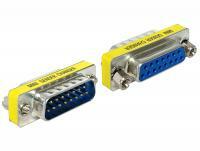 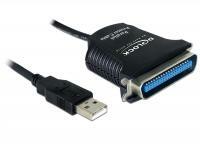 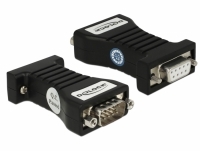 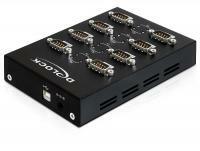 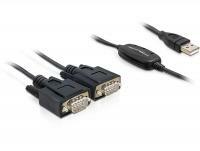 This serial adapter by Delock enables you to angle the female port of your serial device by 90Â°. 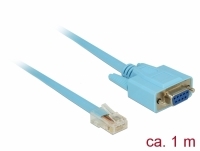 Thus you can connect your serial cable without any problem in case the existing serial female port is difficult to access. 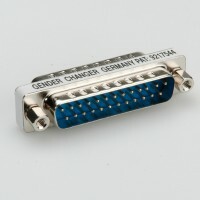 Furthermore you can change the screws and nuts against each other. 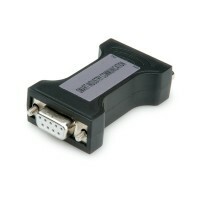 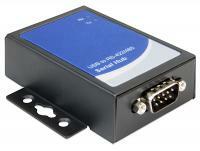 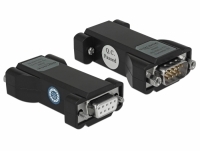 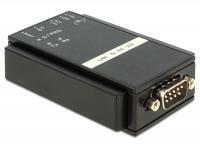 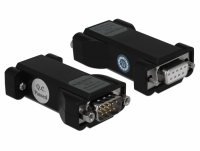 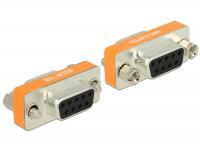 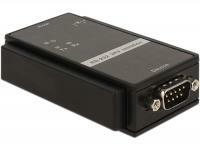 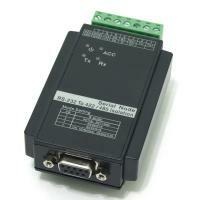 This serial adapter by Delock enables you to angle the female port of your serial device by 270Â°. 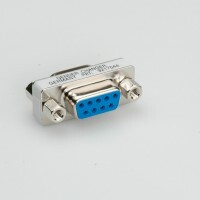 Thus you can connect your serial cable without any problem in case the existing serial female port is difficult to access. 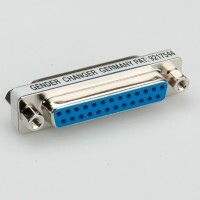 Furthermore you can change the screws and nuts against each other. 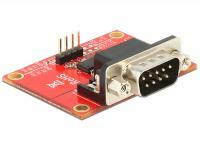 This adapter by Delock enables you to connect a serial device via the 4 pin pin header connector (RX and TX) with the GPIO interface of your Raspberry Pi by using the included cable. 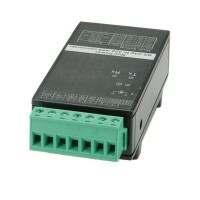 Then configure your system according to the requirement. 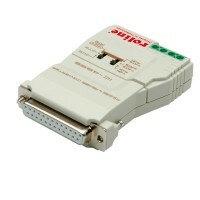 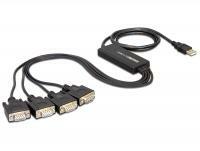 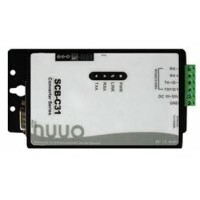 This USB 2.0 to serial adapter enables you to connect up to four different serial devices to a free USB port. 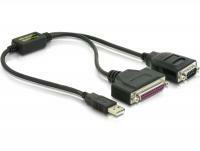 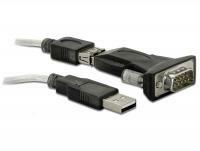 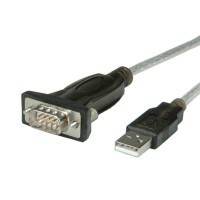 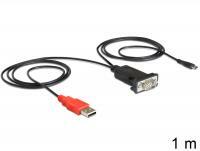 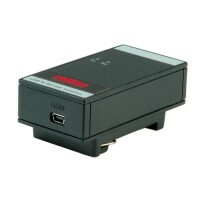 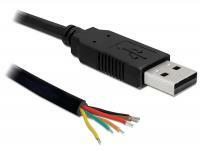 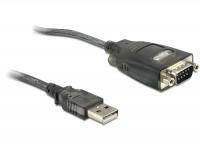 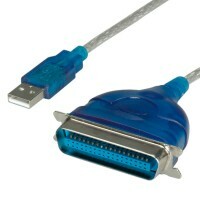 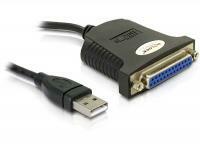 This USB 2.0 to serial adapter enables you to connect a serial device to a free USB port. 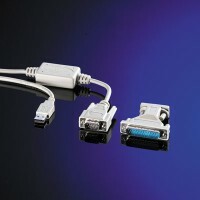 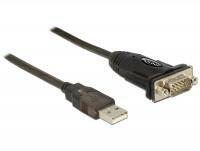 This USB 2.0 to serial adapter enables you to connect up to two different serial devices to a free USB port.